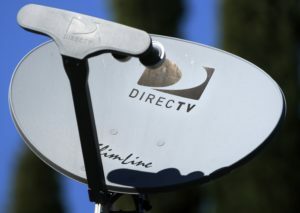 One of the most c0mmon questions we get regarding DIRECTV and Satellite TV in general is “can we put a satellite dish on our property? Congress passed a law in 1996 covering just this question. Called the Over-the-Air Reception Devices (OTARD) Rule (47 C.F.R. Section 1.4000), it prevents restrictions that impair the installation, maintenance or use of antennas used to receive video programming and data. 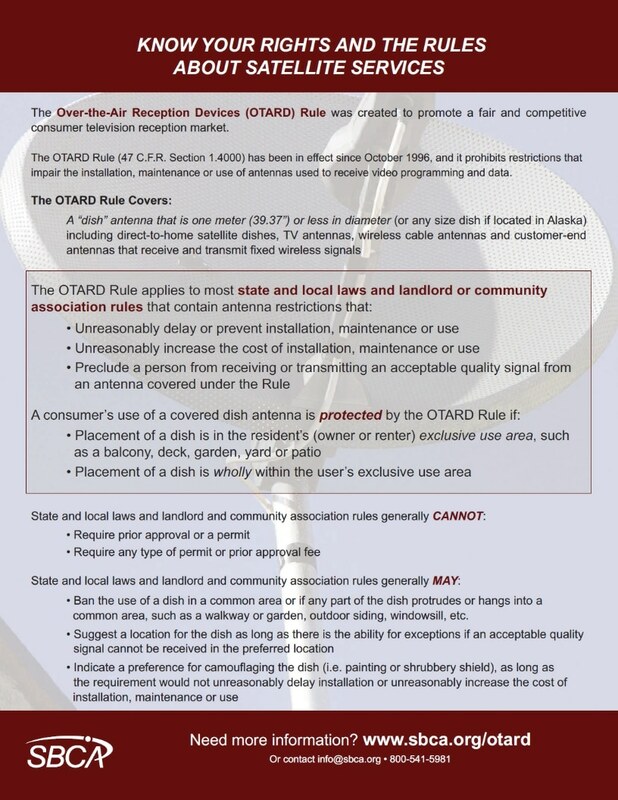 What that means for you is that your landlord or community association cannot require prior approval or a permit or charge you any fees to put up an antenna or dish. They can ask you to keep your dish from protruding onto common areas or suggest placement of the dish. This one page document from the SBCA outlines the OTARD in more detail and has a link you can follow to find out more.